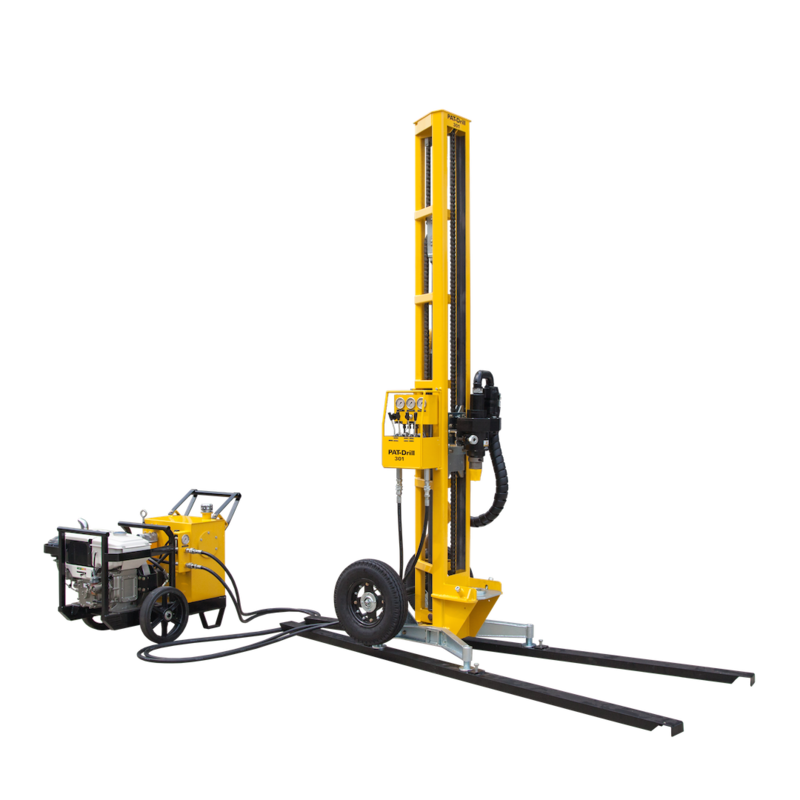 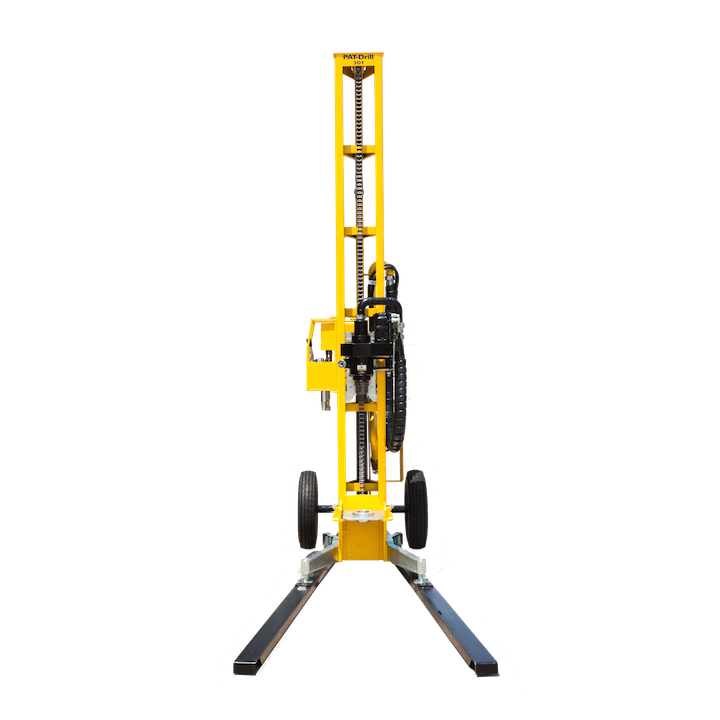 In its modular format it remains one of the lightest drilling packages in its depth capacity in the world and can meet many specialist needs – manhandled up mountains for horizontal well drilling, compact air cargo movement where road transport is not an option or local mounting on hydraulic excavator arms and similar configurations. 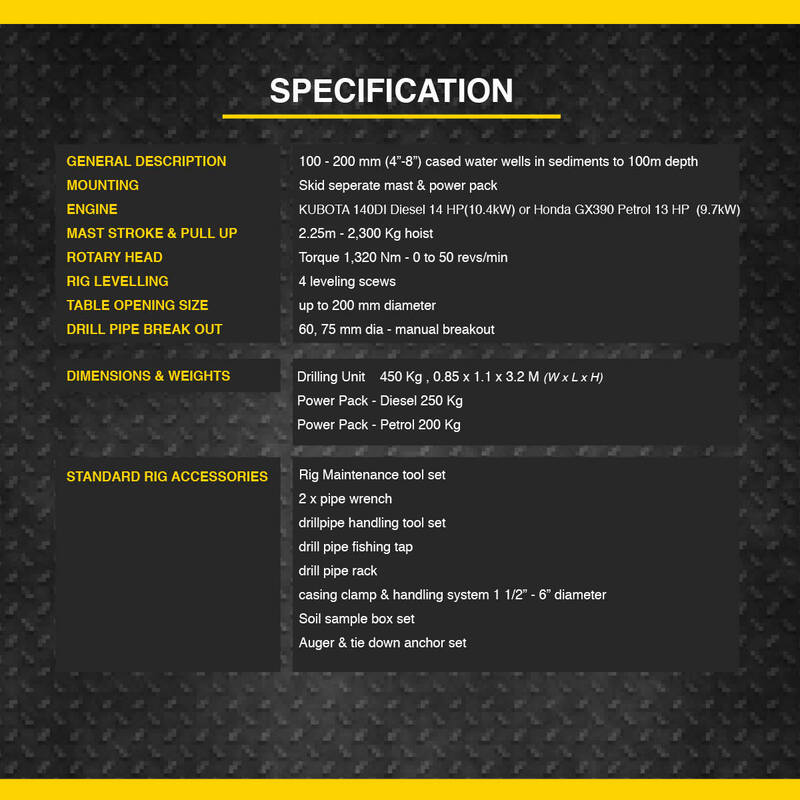 Break-out table to open 200 mm. 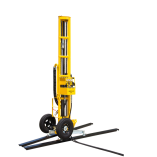 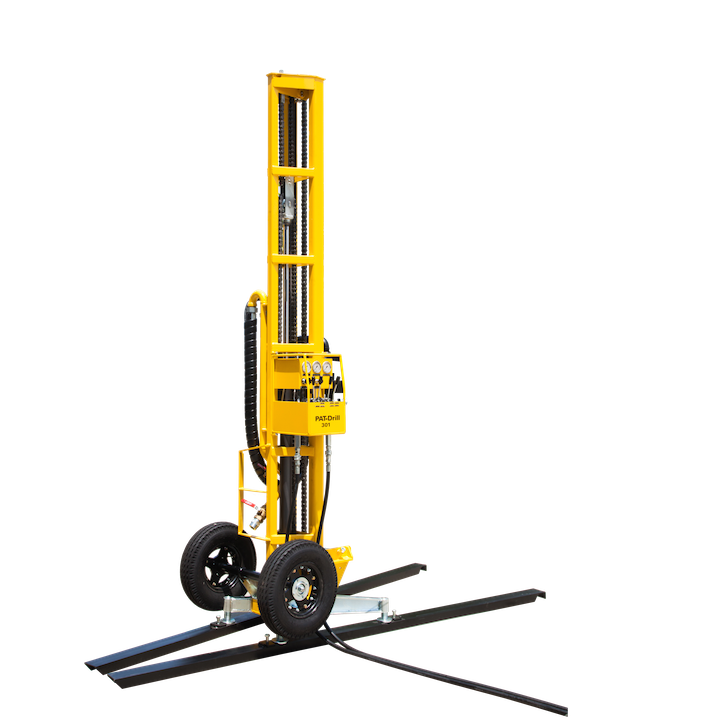 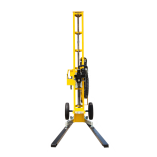 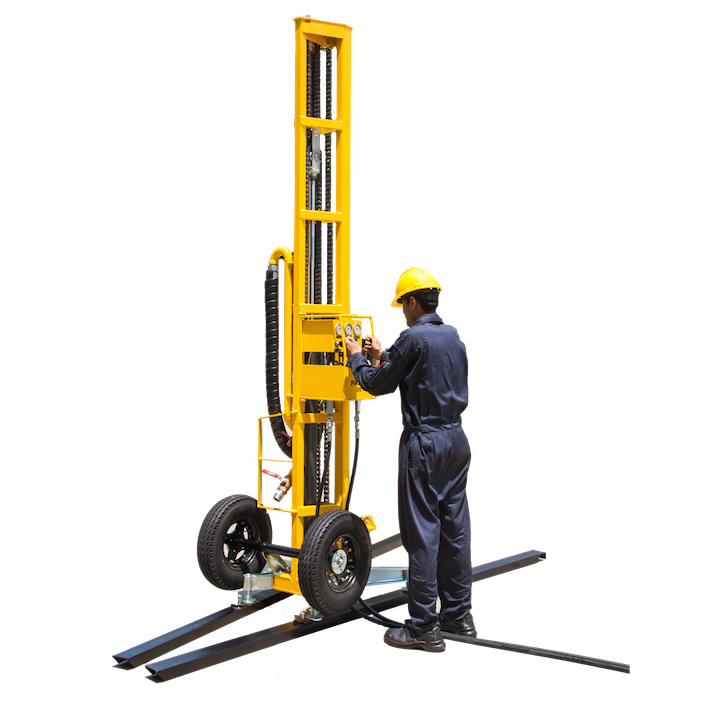 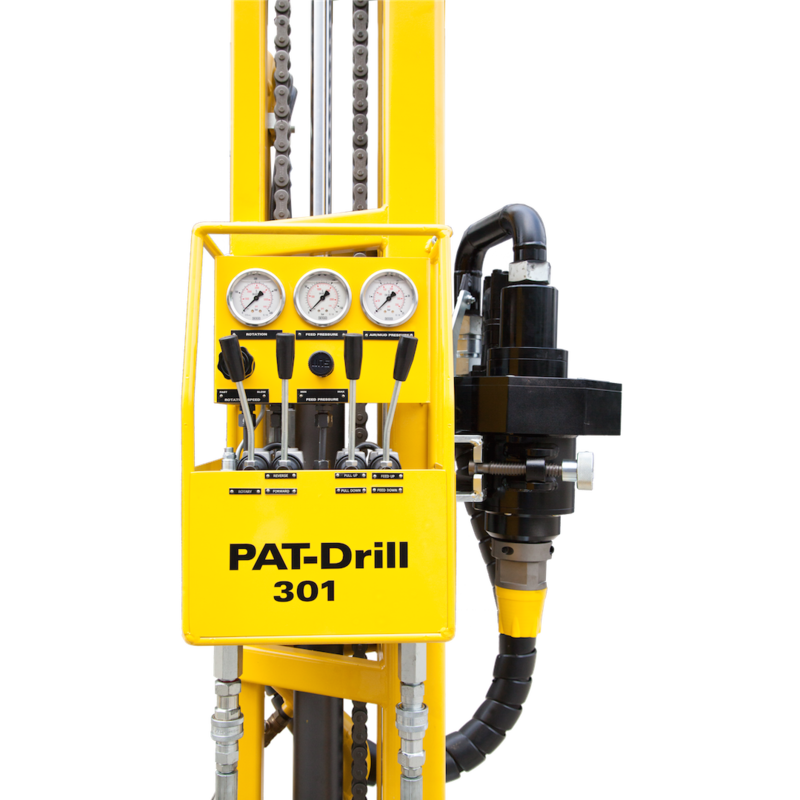 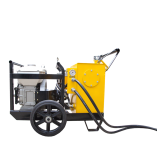 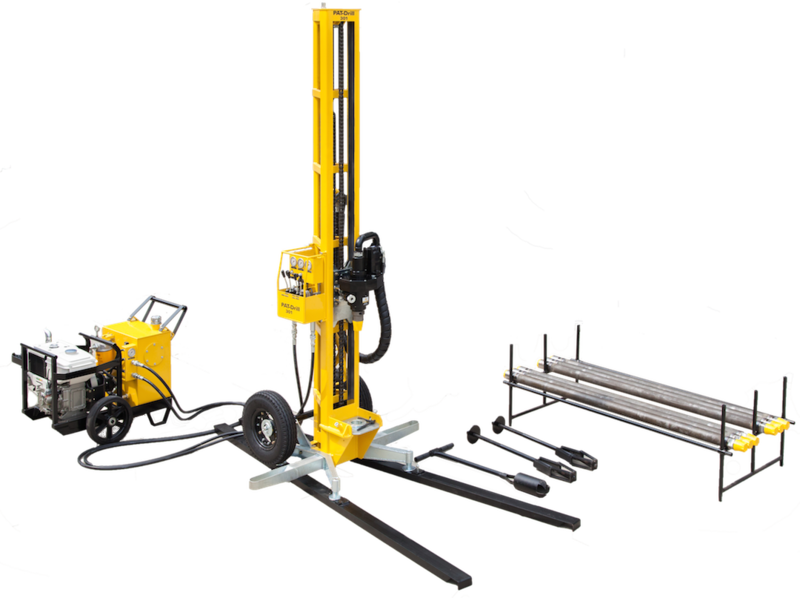 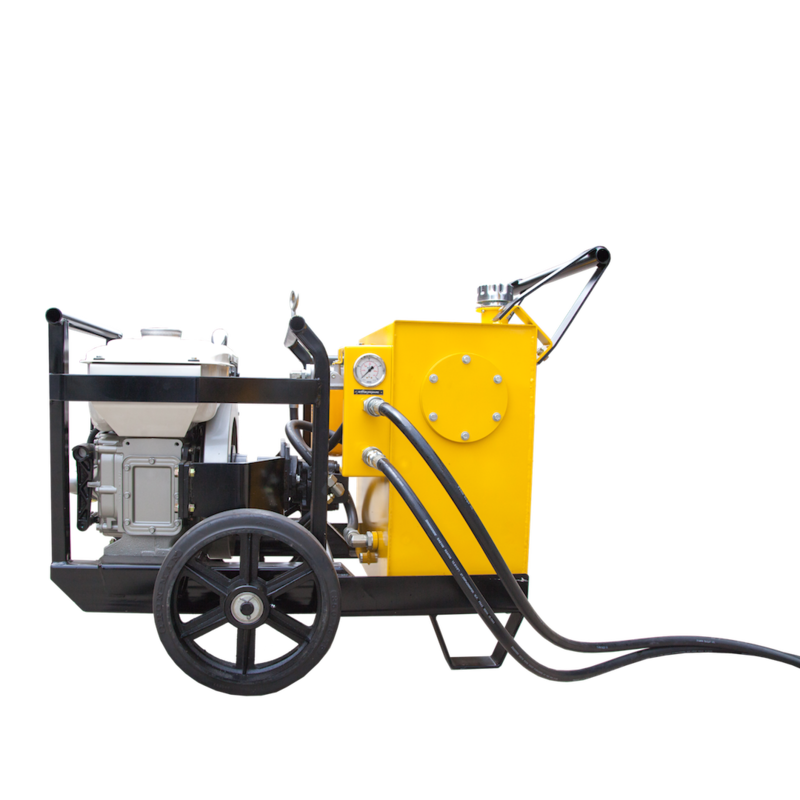 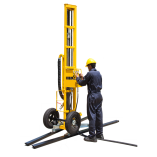 The PAT-Drill 421 is a heavy duty version of the compact trailer mounted rig. 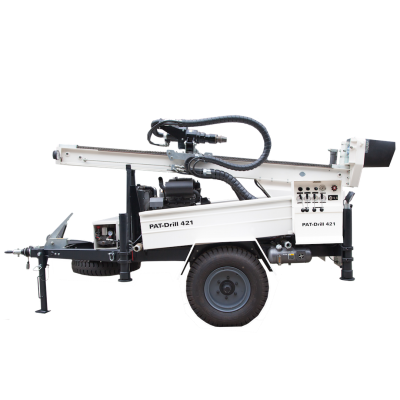 With a heavier and stronger mast, chassis and power pack it provides an alternate machine – ideally suited to being towed by light truck or Land Cruiser. 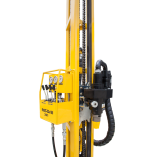 For down-the-hole-hammer and mud rotary drilling up to 180m depth 100-165mm diameter – according tool selection. 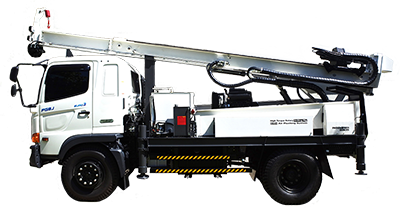 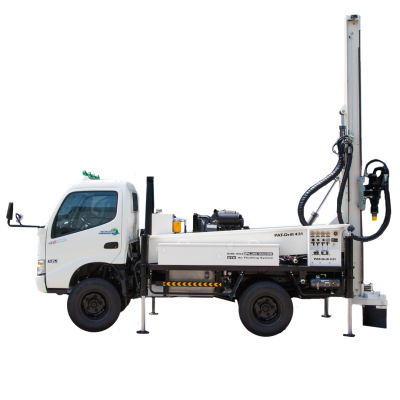 PAT-Drill 431 is a truck mounted drill rig powered by a deck engine mounted on a rail chassis to fit any suitable 6,500 GVW truck chassis. 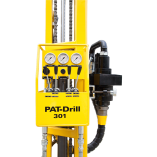 For down-the-hole-hammer and mud rotary drilling up to 200 m depth 100-165 mm diameter – according to tool selection.